With over 30 years of service, dedicated to Land Rover, we offer a one stop centre for all servicing and mechanical repairs, saving up to 40% on main dealer prices. Constant reinvestment in the latest Land Rover technology ensures that we stand out from all other independents, allowing us to offer the same high level service as main dealers, but at a much more competitive rate. Our experienced Land Rover trained technicians and administrative staff guarantee a personalised service that cannot be surpassed anywhere in the motor industry. 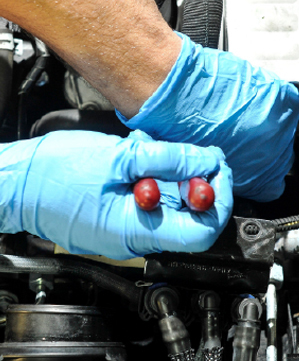 Years of experience enable our Land Rover trained technicians to undertake all jobs from replacing brake components to major engine transplant. No matter what service your vehicle requires, we will give you a fixed price, not forgetting that all our work carried out is to Land Rover service schedules. If you are not sure, feel free to ask one of our team of specialists. Convenience is king at RCV. 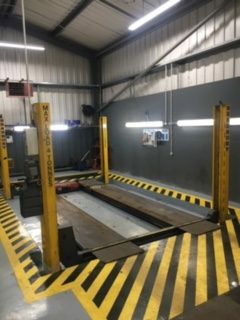 We offer competitively priced tyres and in house fitting service, using our computerised 4 wheel alignment, that will protect your tyres from unnecessary wear. 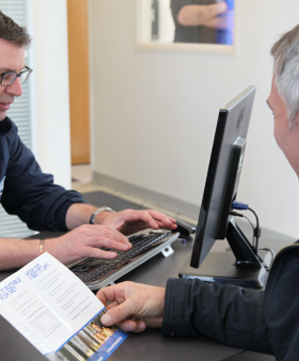 Use our in house Class 4 MOT testing facility at the same time as enjoying our comfortable reception that offers free Wi-Fi and complimentary hot drinks. 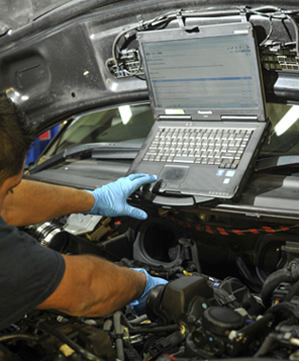 We subscribe to all the latest Land Rover software updates, diagnostic equipment and cutting edge technology. We also use Autologic for the older vehicles when required. 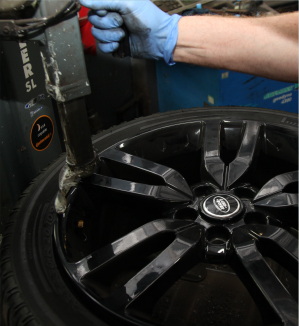 Offering a convenient service to our customers is essential to the smooth management of our busy workshops. Our fleet of new vehicles are replaced bi yearly, and occur an administration charge of £12 a day including VAT. 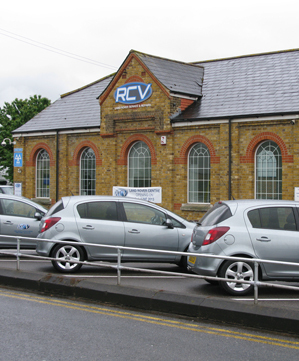 RCV are pleased to offer pre-payment Service Plans to suit your needs that can be tailor made to your requirements, covering all service, tyres and mechanical repairs.